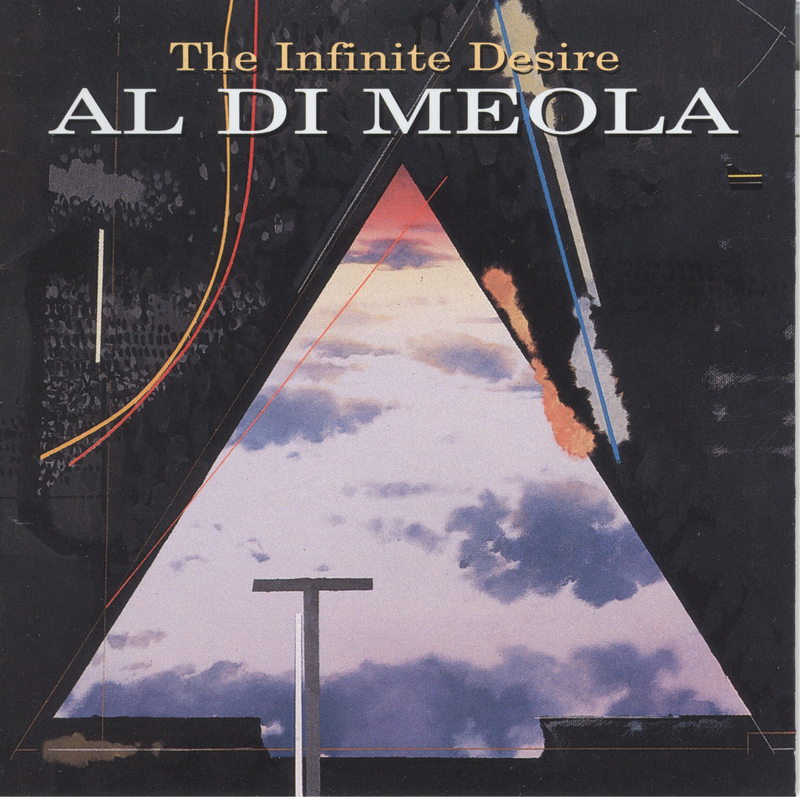 The music on Al Di Meola’s 1998 album The infinite desire was largely inspired by the work of the Venetian painter Andrea Vizzini. This according to “Al Di Meola: Art imitating art” by Bret Primack (JazzTimes XXVIII/10 [December 1998] pp. 88–90, 201–202). Today is Di Meola’s 60th birthday! Above, Vizzini’s cover for the album (click to enlarge); below, Di Meola’s Vizzini (a track from the album) with a slideshow of the artist’s work.